One of the real pleasures of book reviewing is being asked to take part in book blog tours and even more when that book is by one of your favourite authors. I came to Manda’s book quite late and embarrassingly it was because i didn’t really read female authors, I’m not really sure why but I had just never thought that I would connect with the book or the author. Well how wrong could I be!? After seeing people I respect on Twitter waxing lyrical about her books I picked up Dreaming the Eagle the first book in the Boudica series. I instantly became a fan, read the entire series within a week and then proceeded to read everything written by her and was stuck by just how well written they were with intelligent and well paced plots but it was the characterisation that really blew me away. Well round characters populated the books and I can honestly say that they were different to anything I had every read before, they seemed to come at me from a completely different direction to what I was used too, rather naively I assumed this was because they were written by a woman but I soon realised that its because they are written by an intelligent and extremely interesting author who comes at life from a different angle than most people ( I mean that most respectfully) and this comes across in her novels. When I heard that the next novel was going to be a retelling of the story of Joan of Arc I was immediately excited by the prospect of reading just what direction the story would be taken in. I won’t say too much about the plot in case of spoilers but the book is split into two different stories, One set in 1400’s and the second in modern day France. Obviously the part set in the 1400’s covers a retelling of the Joan of Arc story and strips away the myths that have built up around the story. Told from the point of view of an English agent the story gets to the heart of the story of the fight back of the French crown against the seemly invincible English. Leading this fight back is a young girl who inspires the army she leads but fear and distrust in those around the king. It also explains why the myth of divine intervention built up around her as the sexism of the time just wouldn’t allow a young girl to lead and inspire an army and too also fight and ride as good if not better than some of the greatest knights of the age. The second story is set in modern day Orleans and shows the effect the myth of the maid has on the political parties fighting a mayoral election. The central character is a high ranking police officer who is leading the hunt for a team of arsonist who are bringing fear and terror to the streets of Orleans, she is also just so happens to be married albeit unhappily to the leading candidate in the mayoral election. Both parts of the book are fantastic stories in the own right but when read together really bring the book and story to life. The story in modern day France is particularly clever and shines a light onto France’s battle with its past, its growing immigrant population, the fear of Islam and the rise of the national front. It also shows the sheer power of national myths on the modern psyche and how they can be twisted and manipulated to suit the needs of politicians and fringe groups. If you want an intelligent but highly entertaining retelling of the story of Joan of Arc then I can’t recommend this book enough, Manda Scott has again proven what a fantastic writer she is and has cemented her place at the top of my reading list! Manda Scott (born 1962) is a former veterinary surgeon who is now a writer, under the name M C Scott. Born and educated in Glasgow, Scotland, she trained at the University of Glasgow School of Veterinary Medicine and now lives and works in Shropshire. She made her name initially as a crime writer. 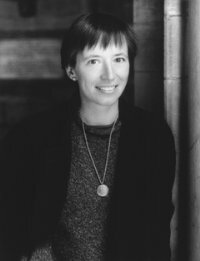 Her first novel, Hen’s Teeth, hailed by Fay Weldon as ‘a new voice for a new world’ was shortlisted for the 1997 Orange Prize, and No Good Deed was nominated for the 2003 Edgar Award. Her latest novel is a fast-paced, dual timeline thriller, Into the Fire, which explores the truth behind the myth of Jeanne d’Arc – and the impact those revelations could have on modern day (2014) France. 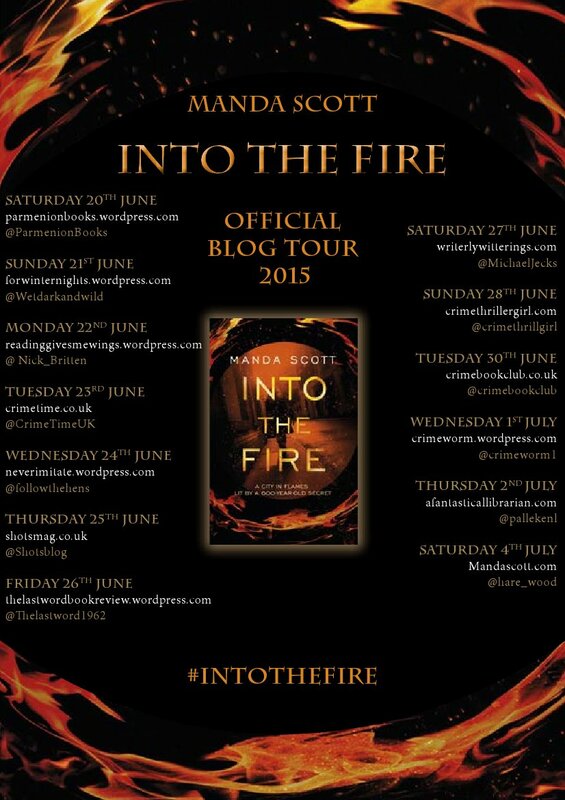 This entry was posted in Blog Tours and tagged into the fire, Joan of Arc, Manda Scott, Orleans. Bookmark the permalink.